China’s love affair with physical beauty is helping to fuel the selfie-editing app Meitu’s valuation of US$3 billion. Chinese image-editing app developer Meitu (美圖秀秀) is reportedly eyeing an IPO in Hong Kong to raise up to $700 million this year, which would send the firm’s valuation to as much as US$3 billion, according to Reuters. The company claimed more than 270 million monthly active users and 52 million active daily users. It also said that 900 million people have tried photo-editing apps globally, helping the segment top the photo and video apps ranking on Apple store. This figure compares favorably with the 1.6 billion Facebook users. 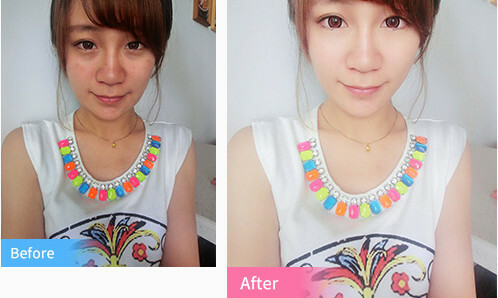 Meitu can remove dark circles under eyes, lighten and smoothen skin, narrow the face, and elongate body shape in the selfie. It also offers a “one-click beautifying” function, with photos able to be shared instantly via popular social network platforms like Weibo and WeChat. The app is free on both Android and iOS. It generated revenues of US$100m in 2014, mainly from in-app advertising and hardware sales, with the greater part from the latter. The Xiamen-based company, founded in 2008, is also a manufacturer of mobile phones and cameras. And here it comes - let the Samsung-Apple war begin. Take a look and have a "LOL" Friday!.. Daryl Aiden Yow deletes all Instagram photos: A move in the right direction?